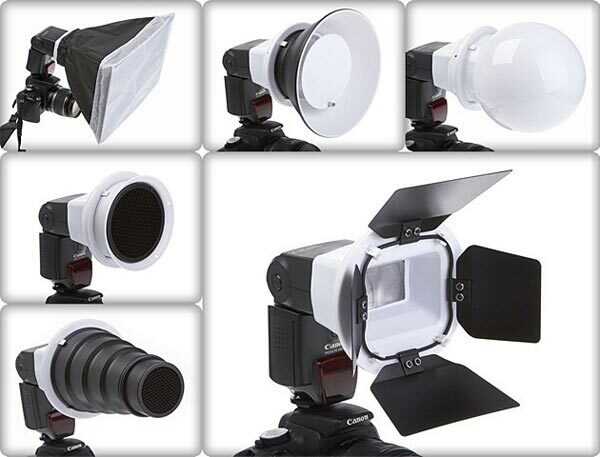 The guys over at Brando are selling some budget photography accessories, the Professional Flash Mega Kit. The Professional Flash Mega Kit is designed more for amateur photographers than professionals and it comes with a host of different accessories. The kit includes 6 color masks, including mini reflector, globe diffuser, conical snoot, honey comb, mini reflector, and Barn door, all for the bargain sum of $88. The Professional Flash Mega Kit is available now from Brando.